A video purporting to be from a group calling itself Anonymous Malaysia has surfaced on social media. 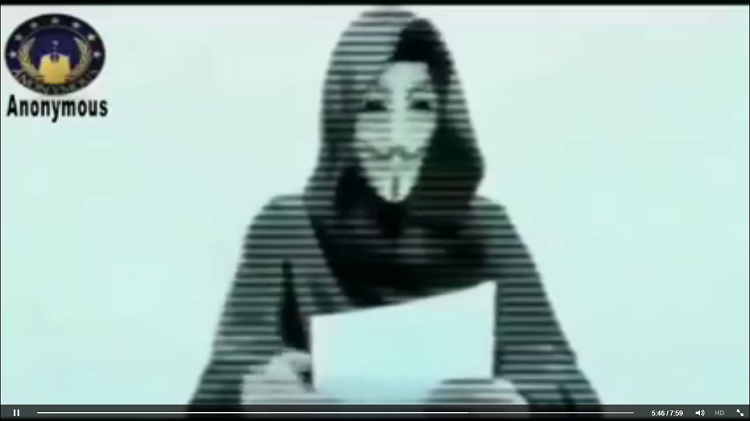 In the video, an individual wearing a Guy Fawkes mask declares support for the Bersih 4.0 rally and threatens to launch a massive cyberattack on the government. The eight minute long video contains the masked individual with a synthesised voice reading a list of alleged wrongdoings by the Prime Minister Dato Sri Najib Razak, and threatens to team up with Anonymous International to bring him down. It also declares all out internet warfare against the Malaysian government if the Prime Minister fails to step down. Video ancaman keselamatan dari “Anonymous” terhadap Perdana Menteri dan Kerajaan MALAYSIA. Pihak Polis Diraja Malaysia ( Royal Malaysia Police ) perlu ambil tindakan segera mengensan mereka! It is uncertain if this really is Anonymous organising against the embattled Prime Minister, or if it is a group of local hacktivists who are taking matters into their own hands. Anonymous has, in the past, issued statements in similar videos; although it broken poor grammar and improper English is a step away from the usual quality that comes from Anonymous statements. The video itself appearing on a Facebook group called Tabik Polis, which appears to be a group created in support of PDRM.